Contemplative prayer is a simple openness to God that is not limited to particular ideas or images of God. Almost everyone has known contemplative moments in life: perhaps listening to beautiful music, standing before a great painting, gazing out to sea or across a sweep of landscape. At first your appreciation moves from detail to detail, absorbing different aspects; but if you are still and attentive enough there may come a point when you open to the whole reality of what you are experiencing, are drawn into it, become one reality with it. When God is the object of our contemplation there is a whole new dimension. We have never previously experienced anything except through its impact on our senses, but God is “nothing known to the senses” (Heb. 12: 18a) . We have therefore to allow ourselves to be led through initial obscurity, into a new way of knowing that is simple and direct. The normal preparation for contemplative prayer is attentiveness to God in whatever ways are familiar and helpful, until they no longer work for us – and then to let go in order to be led deeper into God’s own truth. What are the vows? Why do you make them? The vows are the solemn, public, external witness of a life consecrated in its entirety to God, through Jesus Christ. They represent the three most important areas of human life and experience; love and sexuality, material goods and ownership, and freedom and power. In this way they represent the whole of human life. The vow of chastity, or consecrated celibacy makes love of God the primary life commitment of a person, to the exclusion of any mediating commitment. As in the case of marriage, when two people make their vows to each other and they thereby exclude any other sexual relationship, so a Religious by the vow of chastity, excludes a spousal relationship with another person, and in this case, the possibility of founding a family in order to belong exclusively to God through Jesus Christ. The vow of poverty regulates a person’s attitude to material goods and ownership. It does not mean that a religious lives in poverty, but it promises an attitude of detachment from and moderation in the use of material goods. a simplicity of lifestyle. How this is lived out varies from Order to Order, and has changed throughout the course of history. An important aspect of this vow nowadays is care for the environment. 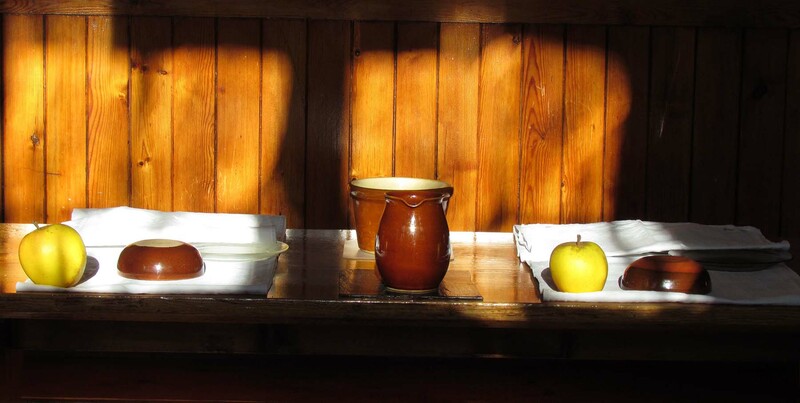 This question usually arises from two misconceptions about the contemplative life. The first is that we spend all day on our knees, and the second is that unlike the majority of people who never have enough time for all they would like or need to do, contemplatives don’t have enough to occupy them during the day. Our main ‘work’ is prayer. Besides spending two hours in silent prayer each day, we gather seven times in the day for the communal celebration of the liturgy, centred on the Mass. We also spend time in reading which fosters growth in the life of prayer. This does not leave us much time in which to earn our living and to engage in the normal household tasks ¬preparing meals, washing, cleaning etc. It is often a surprise to women who come in to try our way of life to discover how hard we work! For further information on our daily routine, go to the timetable page. You are often referred to as ‘enclosed nuns’. Can you explain what this means? ‘Enclosed nuns’ highlights that aspect of our external lives in which we differ from most other people, even from other Religious. It means that we do not go outside our monastery except for medical or other necessary reasons. This is because our role in the Church is to continue Christ’s ministry of prayer to the Father in solitude. Other Religious follow him in his ministry to the sick, his preaching and teaching, his love for the social outcasts, all of which requires a certain mobility. Enclosure fosters the silence and solitude, which is essential for our kind of life, but it is a means to an end, it is not an end in itself. We would rather not be referred to as ‘enclosed nuns’, as it is putting the cart before the horse! It also gives a wrong impression, as though it was something that has been imposed, instead of freely chosen as a prerequisite for our way of life. ‘Cloistered’ might be a better word, as it is the traditional description of that area of a religious house that is reserved for the members of the community. People often say that your way of life is an escape from the demands of living in society – would you agree? To live every day of one’s life in the small society of a Carmelite community is not less demanding than life in the wider world. It may even be more challenging in that the simple repetitions of our routine offer no distraction or escape from whatever may be difficult or testing. The call is to a life of total self-giving, transcending personal concerns and needs in order to take into our hearts the pain and perplexity, as well as the genuine aspirations of the people of our age. The struggles of the world community are reflected in our efforts to live together in peace and love. This involves learning to face one’s own truth, with trust in the acceptance of others and total respect for their difference. The altarbreads for use at Mass are made from paste of wheat flour and water, baked between two hot plates. The wafer-thin sheets are very brittle and have to be dampened in order to be cut by machine into the small round breads that will be consecrated at Mass and received in Holy Communion. When these have dried they are bagged in 1000’s and 500’s, ready to be packed and despatched to parishes throughout the diocese of Westminster and beyond. Some are sent to mission countries as far afield as Sierra Leone, where priests have difficulty in obtaining them locally. We produce between five and six million altarbreads each year. The brown habit and white cloak have been the distinctive dress of Carmelites the world over for centuries. Over the dress a scapular of the same brown material is worn. It hangs down front and back and is derived from an earlier type of apron. In the course of time it came to signify the Order’s special dedication to Mary. A smaller form of it is worn by many people as a mark of association with the Carmelite Order. The white cloak is worn on solemn, liturgical occasions. The veil is a sign of our consecration to God. A Novice wears a white one but when she makes her vows “until death” she exchanges the white veil for a black one. Although the habit may seem elaborate compared to modern clothes it is actually very simple to make and very hard wearing. Clothing is always the smallest item on our expense list! The choice of clothes is ordinarily an expression of individual personality. As Carmelites, we choose to express instead our dedication to Christ and our commitment to one another by wearing a common form of dress. We live in a multi-cultural city and many of the people on its streets can be recognised by the clothing they wear as belonging to a particular religion or nationality. Like them, we are happy to be identified by the witness of our dress. Do you have a radio or television? If not, how do you know what is going on outside the monastery? Should you not be in touch with the ‘real’ world? No, we don’t have either radio or television inside the enclosure. However, the Sister who is our point of contact with the outside world, has both a radio and a television, and keeps us suitably informed about world events. Indeed, as soon as anything of importance occurs, somebody will be sure to ring up and ask for the prayers of the community, so we usually come to hear things very quickly. It is important that we are suitably informed about what is happening, so that we can bring the needs, the sufferings and the joys of the world to God in a realistic way, grounded in what is actually taking place and for this reason we do have a newspaper. There are a number of reasons why we do not listen to either radio or television. We have a fairly unvarying timetable, and it would be difficult to fit television viewing into it, without constantly changing our routine. In the end we would be in danger of organising our life around the times of television programmes, rather than around prayer! This latter of course, is the real reason why we do not think that television is compatible with our way of life. To be bombarded with visual images is to make it difficult to cultivate the interior silence and absence of images that are essential to contemplative prayer. Instead we would be constantly distracted by what we had seen and heard. However for events of religious importance, such as the funeral of Pope John Paul II, and the inauguration of Pope Benedict we did watch television, and possibly enjoyed it all the more for being a rare event! Is it possible to join the Sisters for prayer? The nuns, of course, will be in their own part of the Chapel, behind the grille. What should I do if I think I may have a Carmelite vocation? If, after prayer and reflection, you feel that God may be calling you to Carmel, the first thing to do is to make contact. 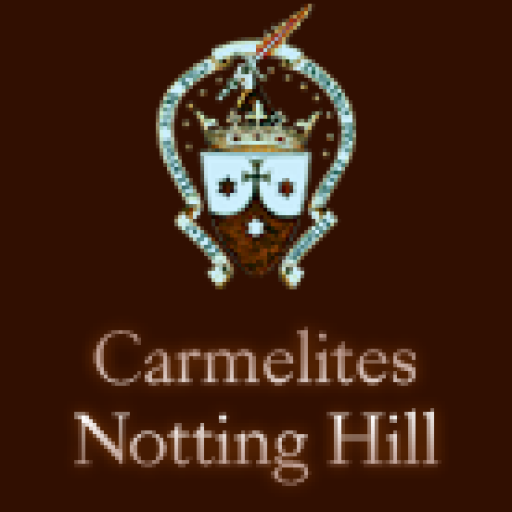 (To find your nearest Carmel in the UK go to the Links page and click on Carmelite Nuns). It is good to give as full an account of yourself as you feel comfortable with at this stage. Our own policy is to arrange a preliminary visit. If it seems appropriate, further visits will be arranged, or a short stay in our retreat flat, depending on your circumstances and the distance involved. If it seems right to go further, you will be invited to spend some periods of time living alongside the community, experiencing the life. If this leads to a request to enter, you will be asked to provide the usual references, medical report, etc. as well as a letter of application. On receiving these, the community will take a vote on your entry.